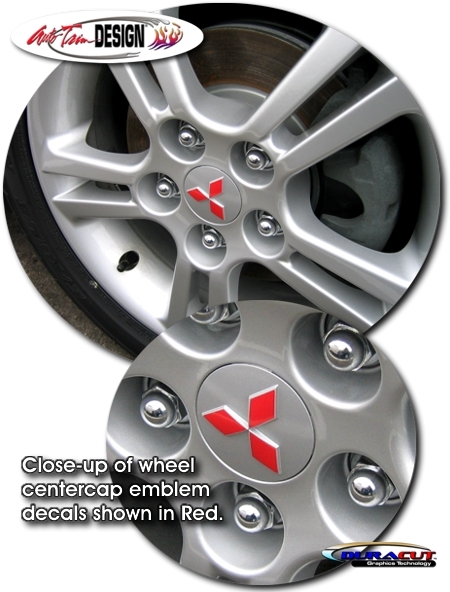 Detail your '04-Current Mitsubishi Lancer's factory wheels with these diamond decals. Packaged for a set of four (4) wheel sets, these decals will fit Lancer centercaps with embossed Mitsubishi Diamond Star logos as shown in the picture. While shown in Red, the gems are available in a wide variety of colors. They're very easy to install (Just install onto the cap's logo!) and include easy-to-follow general online instructions. Decal sets will not fit Evolution VIII or IX models.